BOOK REVIEW Wake up! Time to dye! Abortion outlawed, sexually active women vilified, religion enshrined in government... Hillary Jordan has certainly been watching the news. This is a near-future dystopia with a strong emphasis on the near, despite the technological advances described. Hannah Payne wakes up in prison and finds she is red. Not metaphorically – the entirety of her skin is now coloured a bright scarlet. In this future America, lengthy prison sentences have proven too costly, so all but the most dangerous criminals are melachromed: injected with a virus that colours their skin according to their crime. Red signifies murder, and Hannah has been sentenced after obtaining an illegal abortion. Despite being released after 30 days, “Chromes” are shunned, hated, generally unemployable and often attacked. Hannah travels from religious confine to shelter amongst political activists, simply trying to stay alive and discover a way to continue with her life in some fashion. 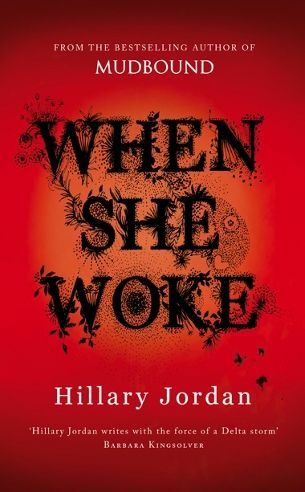 Jordan wears her influences on her sleeve: Hannah’s early predicament is a retelling of The Scarlet Letter , and the world she lives in carries heavy overtones of The Handmaid’s Tale . Hannah’s rejection of God and her heavily religious upbringing mellows as she comes into contact with more liberal Christians, but the reconciling of her religious beliefs with her new friends and discoveries feels like a heavy-handed way to preach to young Christians that they can support feminism without abandoning their religion. It’s a compellingly written tale with a social conscience, but fails to truly shine as story or parable.